The capture and occupation of German Pacific colonies during the first six months of World War I was the RAN's first wartime operation. It involved virtually the entire Fleet Unit and saw Australia suffer its first casualties of the war among whom were several members of the RAN Naval Bridge. The RAN also lost the submarine AE1 and her entire crew of 35. Although the operations included the capture and occupation of a number of German colonies, the major landing occurred at Rabaul and it is this operation that should be recognised with a campaign/battle honour. The Rabaul campaign has been largely overshadowed by the activities of the 1st AIF and the failed Dardanelles campaign as no British ships were involved. The institution of this award would also highlight the fact that Navy's war started in August 1914 and not April 1915. 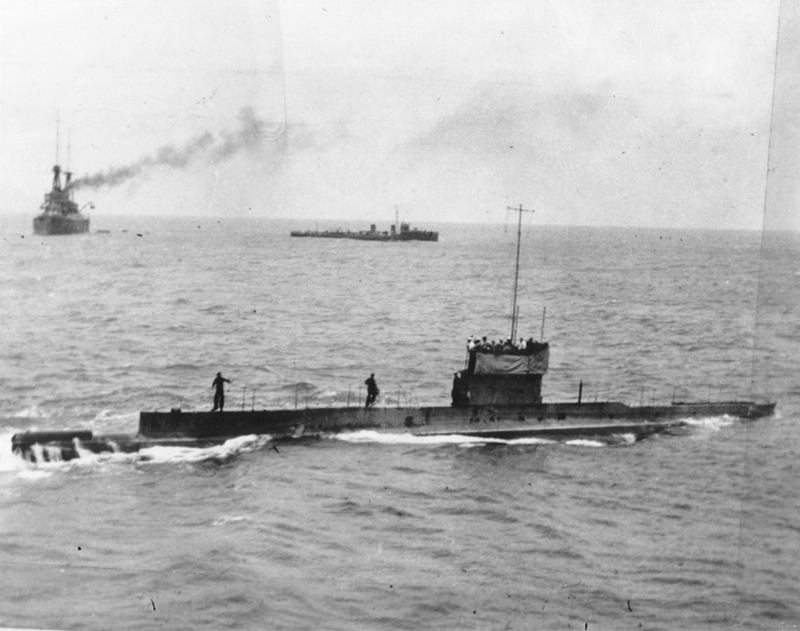 The last known image of AE1, 9 September 1914, with HMA Ships Yarra (I) and Australia (I) in the background.